We have good news and bad news. Which would you like first? Ok, the bad news. There is no mistaking that summer has rolled into autumn. Sorry, but it’s true. There’s a distinct chill in the air at night, and the leaves on the trees are turning ever so slightly brown. Now the good news. 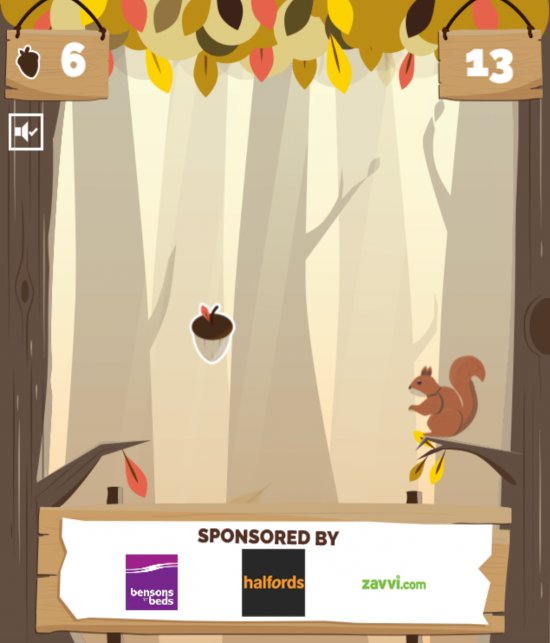 This means that Quidco‘s autumn campaign is now live! And it’s a cracker. (A nutcracker, in fact). Building on the success of last year’s series of digital games for the brand, we’ve created another one with a real autumnal feel about it. 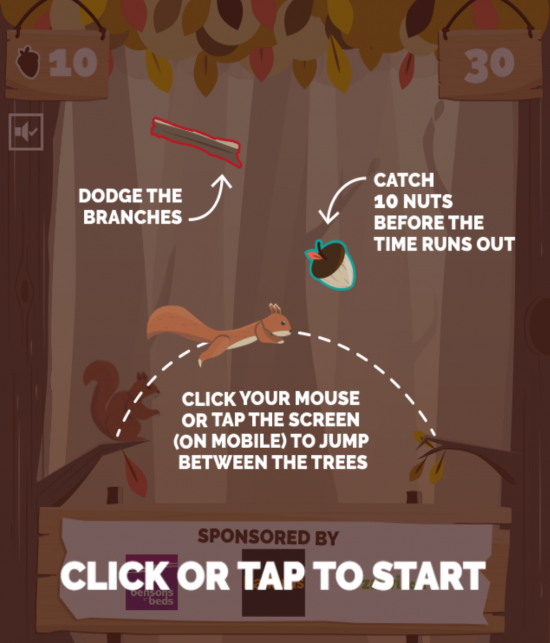 Nutz For Nuts challenges players to help a cheeky red squirrel get ready for winter by collecting falling nuts. They must hop from branch to branch, avoiding the twigs that also cascade from the treetops, and gather ten nuts before the time runs out. 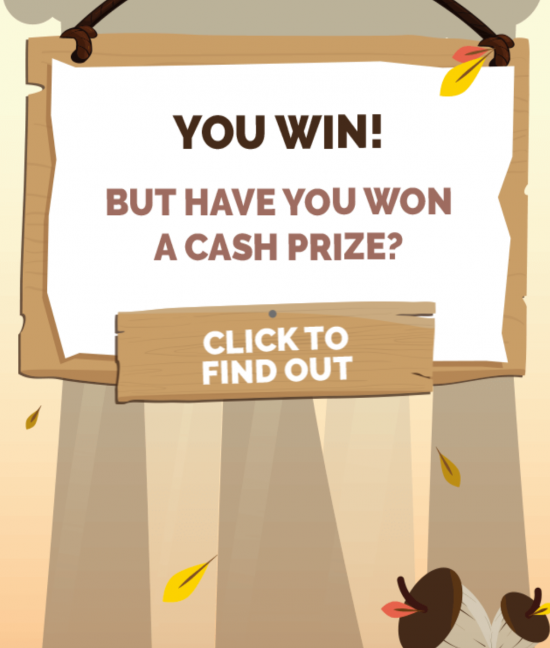 Success means instant notification of whether a prize from the £20,000 prize pot has been won. (Whatever the outcome, players can play – and potentially win – as many times as they like). As with all of our games for Quidco, there is a serious commercial element to the campaign. Firstly, players must be registered members of Quidco to play. This both encourages new sign-ups and engages existing members. Secondly, the offer of instant cash prizes is designed to act as a reminder of what Quidco is all about; earning cashback on your online purchases. 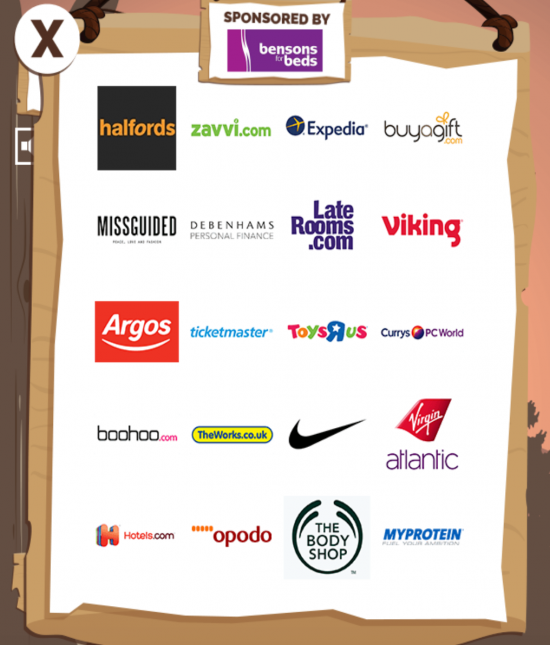 And finally, a selection of Quidco’s brand partners once again feature in the game as sponsors – increasing the amount of traffic to their sites via Quidco and driving sales too. Our digital team have excelled themselves once again with another game that is tantalisingly tricky and infuriatingly addictive. Special mention to our design team too, who contributed in equally brilliant measure. 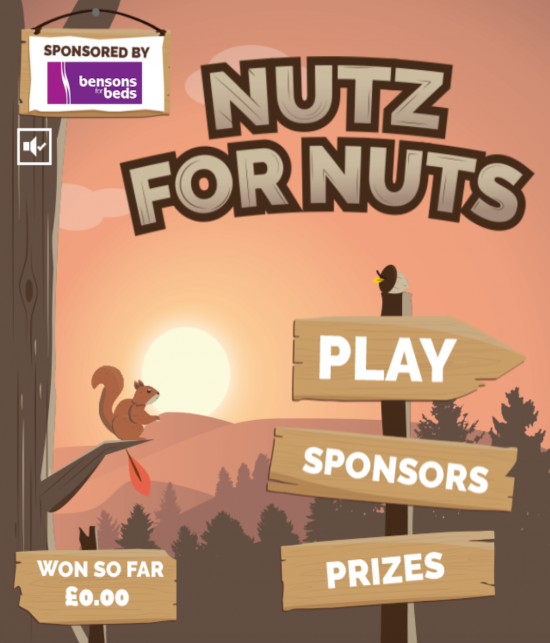 To play Nutz For Nuts, simply sign up to Quidco if you haven’t already and get playing on your mobile, desktop or tablet device. Interested in the thinking behind campaigns like this? Our digital director Jake Xu and Quidco’s digital marketing manager Andrew Allen will be talking about the commercial effectiveness of digital games at next month’s Bath Digital Festival. For further details and tickets, click here.